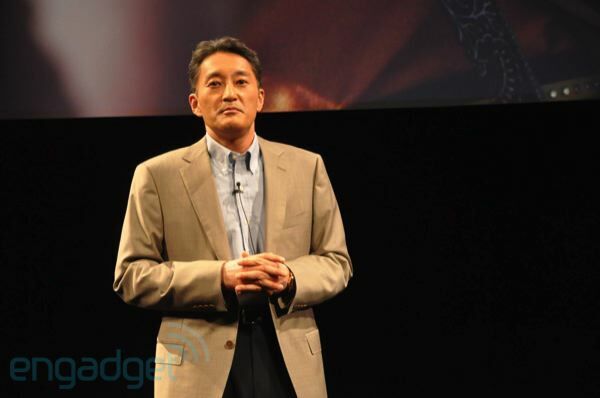 We're gonna level with you, we're not entirely sure what (if anything) Sony will show off at its Tokyo meeting today -- other than "business [overview] and strategy," of course. All the same, with the rumor mill in high gear about a possible PSP2 debut, we decided to take a chance and fly halfway across the world. Will it end up a worthy excursion with momentous payoff? Some fiscal and corporate chatter? A new Japanese ad campaign featuring a terribly dubbed Kevin Butler? Follow along! 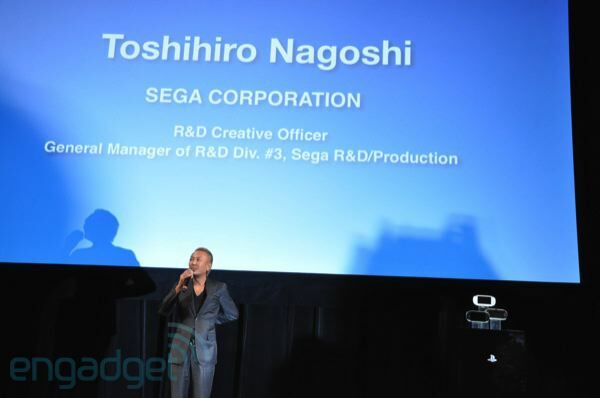 7:45AM Kaz just showed off a huge list of developers that are also onboard. No surprise, but we're a little hurt that none of them spilled the beans. 7:42AM He doesn't have anything to show, sadly, and he's gone with a whimper. 7:42AM "When you consider [insert all of NGP's features here], the possibilites are endless." 7:41AM "I'm delighted to announce that Call of Duty will be coming to NGP." Surprise! 7:40AM Now Philip Earl from Activision. 7:39AM Seems like Epic is just adding NGP interface to its existing mobile strategy, which makes a lot of sense. 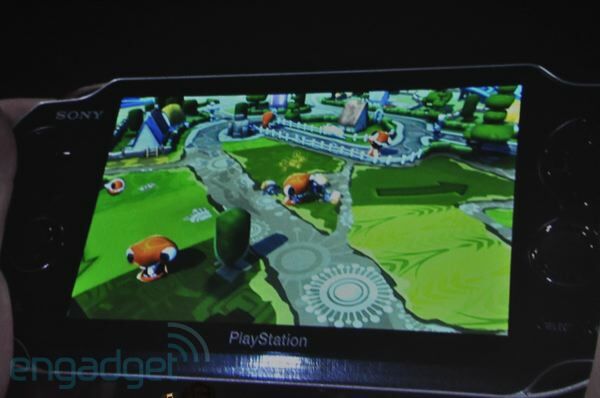 7:38AM He's also showing of Dungeon Defenders, which currently is on Android. 7:37AM It looks about iPhone 4 quality, but obviously there's a bit more going on in the scene. 7:36AM Showing Unreal Engine 3. 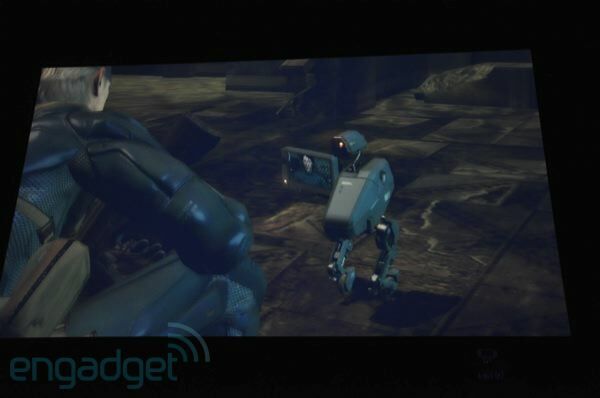 Starting with the same Citadel demo from the iPhone, but taking it a step further, with a full living environment and realtime-rendered characters. 7:36AM Now Tim Sweeney from Epic Games. He says "thank you very much" in our mother tongue! We're near tears. 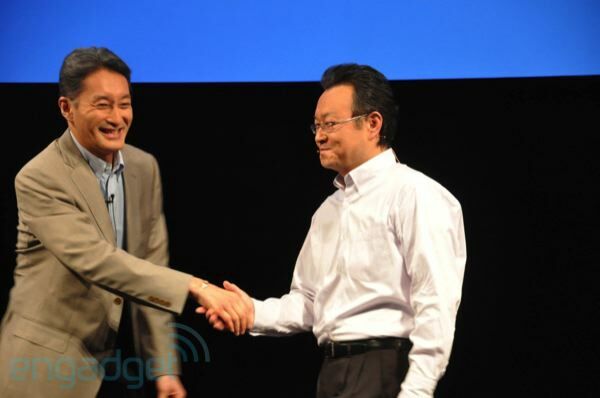 7:34AM Hideo envisions using the exact same game on the PS3 and the NGP. 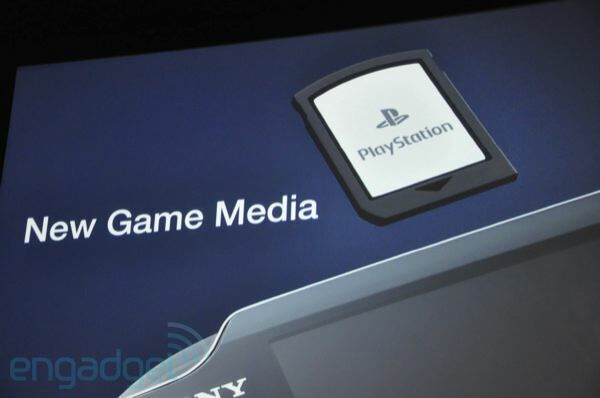 You play the game on your PS3 at home, and out and about you play the same game and same save on your NGP. A beautiful dream, indeed. "This dream is going to come true in the near future, and right now I'm working on this project. 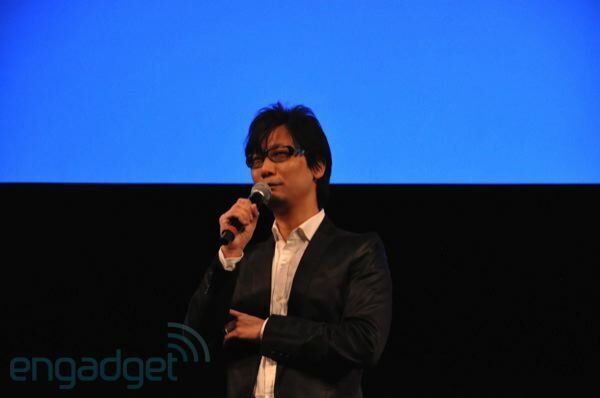 I'm sorry right now I can't disclose further information, but I'd like to present what we're doing at E3." 7:33AM Hideo caveats that the clip was actually pulled straight from the PS3 version and rendered on the NGP, which is rendering it at 20 fps. Naturally some graphical reductions will happen for any actual title on the NGP, but it's still pretty impressive. 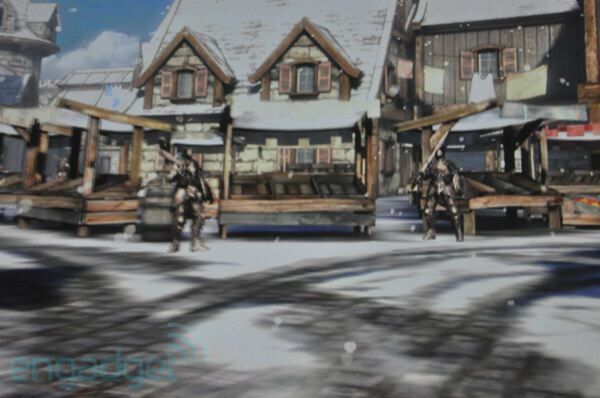 7:30AM If this level of graphics can actually be pulled off in gameplay we'll be very, very impressed. 7:29AM It's Old Man Snake and his adorable robo friend from MGS 4. 7:29AM It's a cutscene rendered in realtime, but it looks pretty amazing. By far the best so far. 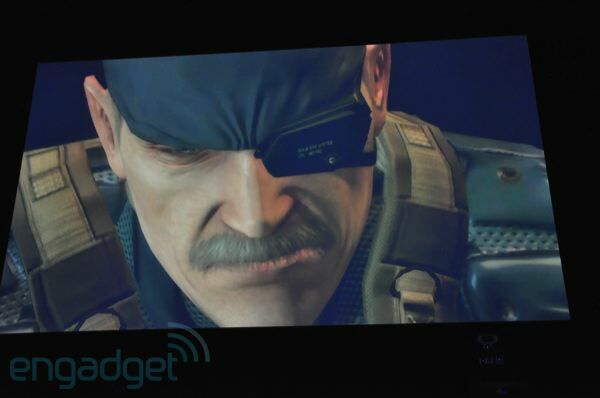 7:28AM Now we've got Metal Gear Solid test video. 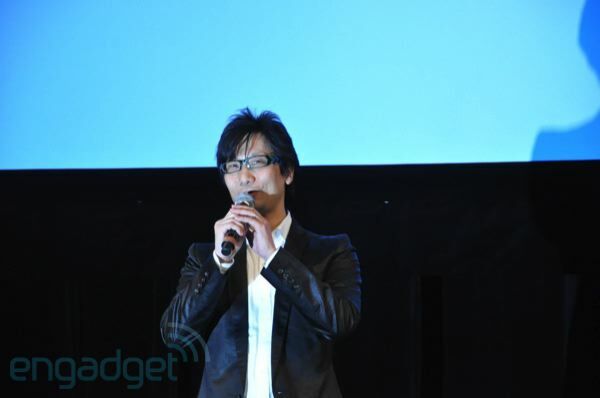 7:28AM Now, Hideo Kojima from Konami! 7:27AM Kaz is back, and none to soon. 7:27AM He's working on a new series, but also might go back to old series and add in NGP features. 7:27AM You can select an enemy, you can select multiple enemies, and you can select enemies in the distance. "Using the innovative touchpad I'm sure we can develop a new title that looks and feels different than what we've had in the past." 7:25AM This UI looks really bad. Maybe they should've stuck to those cutscenes like Capcom and Sega? At least the graphics look great. 7:24AM He's showing off a Dynasty Warrior game. 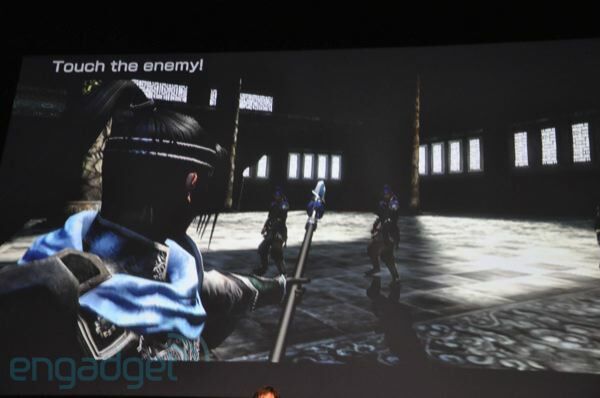 Still have a ton of enemies, but now you touch them to kill them instead of button mashing. We've come so far! 7:23AM Next! 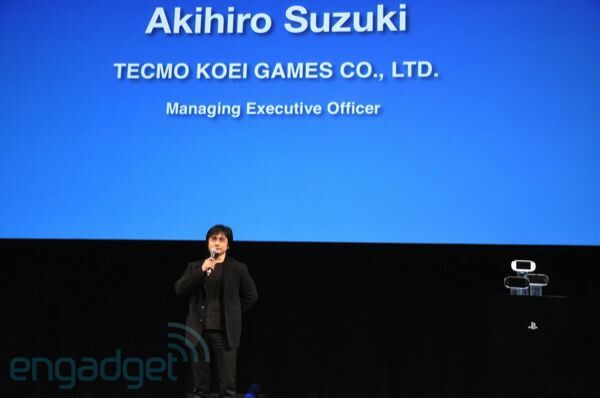 Akihiro Suzuki from Tecmo Koei. 7:22AM It's the zombie version of Yakuza. It's just a demo for now. 7:22AM And now Zombies bust in! 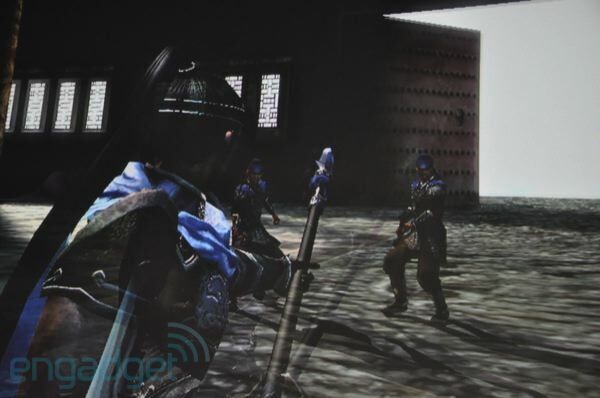 7:21AM Really great quality, showing full facial animation in the cutscene. 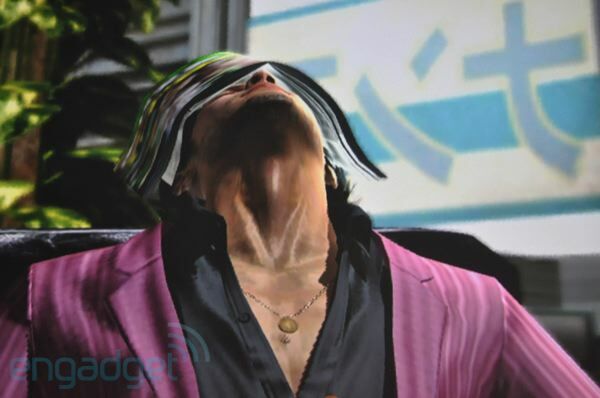 Seems like he's spending more NGP power on polygons and a little less on shaders, contrary to Capcom. 7:20AM Now showing a demo video. 7:19AM "When we have new hardware, developers think about three things. Capability of the hardware, interface, communications infrastructure." 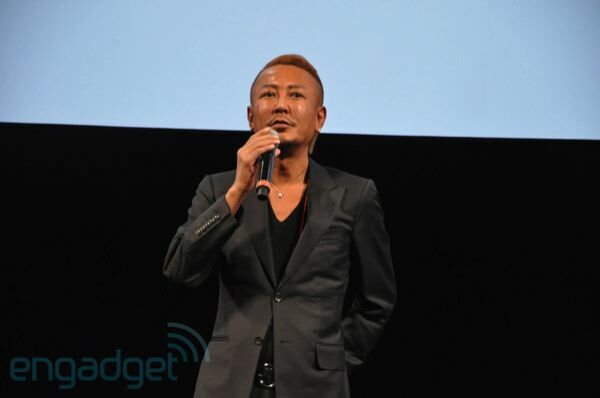 7:18AM Next up: Toshihiro Nagoshi from Sega. 7:18AM It looked pretty good, but certainly a lot of jaggies. 7:17AM The Lost Planet demo was done in just a few weeks. 7:17AM Not announcing any new titles today, but will announce some soon. 7:17AM "Just like the PS3. Only difference is the geometry capabilities. 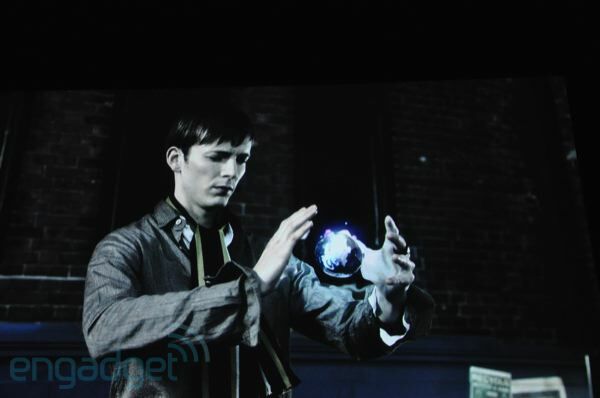 The same lighting shaders, same physics as the PS3." 7:16AM So, that was emulation, "the first part." But we're getting ready for NGP as well. 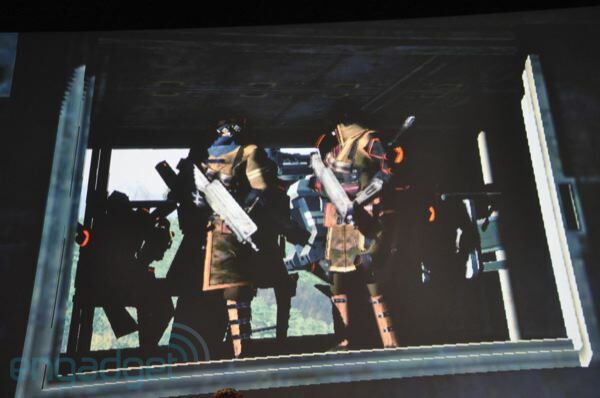 Showing simulated images for NGP: a realtime cutscene for Lost Planet 2. 7:14AM He's controlling it with dual analog sticks. "I must say, the stick feels great! You can quote me, that's my first impression of this." 7:13AM This is actually his first time playing it on an actual NGP, he's only seen developer devices before now. "I'm a little nervous." 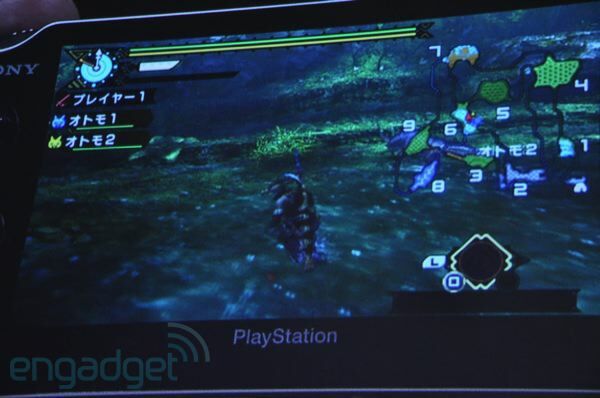 7:13AM Now here's Monster Hunter Third, the download version, running on the NGP. 7:12AM "Two things I would like to convey to you today... But first, Monster Hunter." 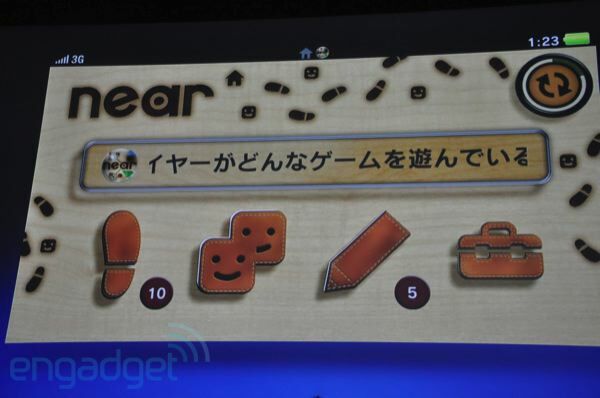 New version of Monster Hunter sold 4 million copies, and a portable version is coming. 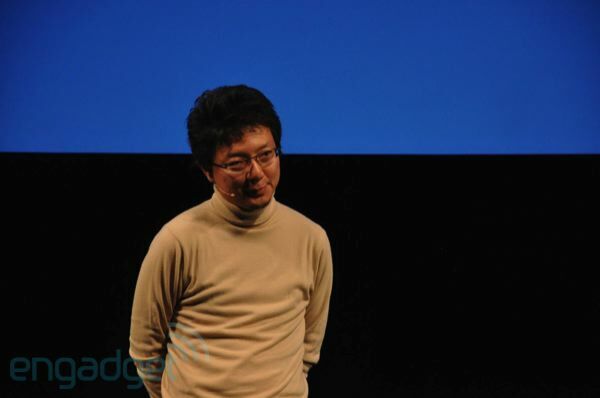 7:10AM Here's Jun Takeuchi with Capcom. 7:10AM So that's first party demos, but of course third parties are on board with the NGP as well. 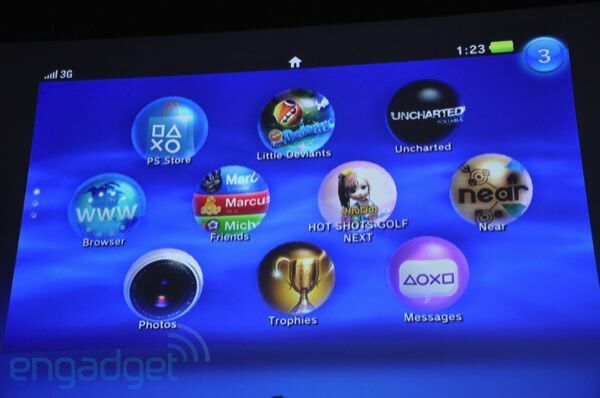 7:09AM Alright, place your bets now: is the Xperia Play a PS Suite device, or a full PlayStation with all these fancy NGP-style games? We're guessing the former. 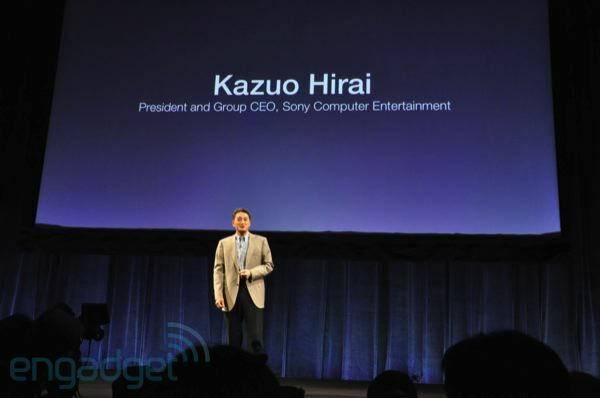 7:08AM Kaz hopes PS Suite content on phones will stimulate users into getting an actual NGP for the full-on experience. 7:08AM NGP and PlayStation Suite. 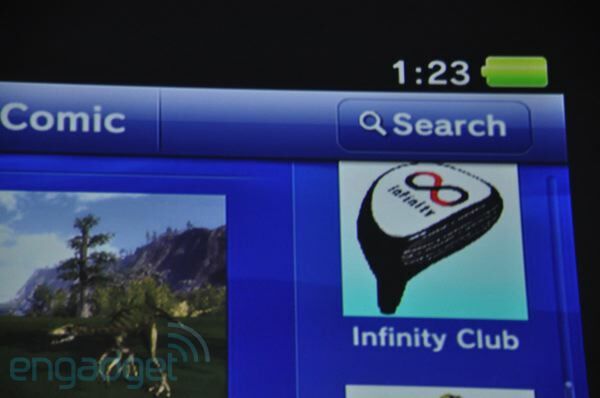 "Content that operates on smartphones will operate on PlayStation. 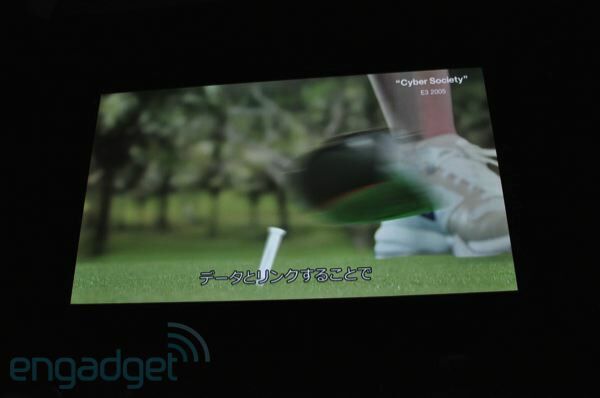 7:06AM Same gyro sensor and accelerometer as the PlayStation Move. 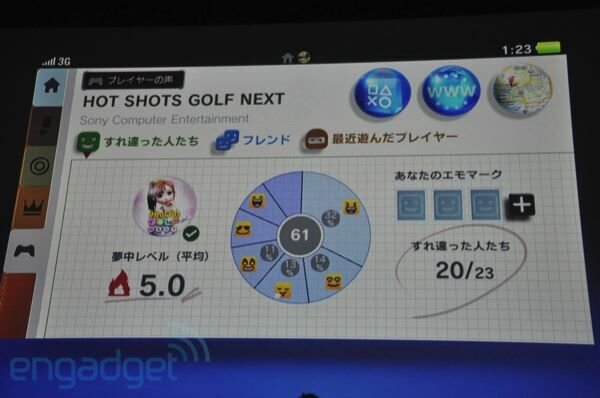 7:06AM Getting a demo of Hot Shots Golf. 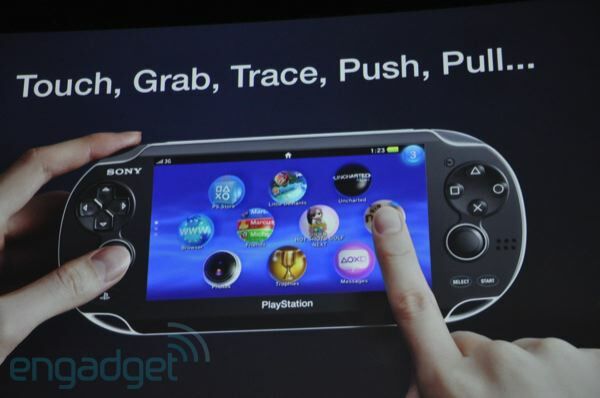 Very touch-centric UI. Tap the avatar to get a hello. 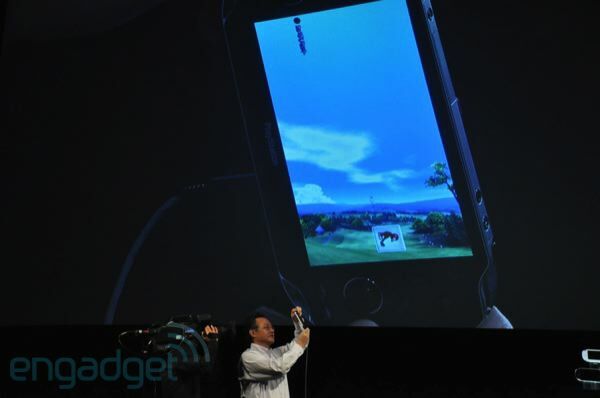 Tap into the "eye" view and you can get a view from the avatar's point of view, which can be moved around as if the NGP is a camera, thanks to the gyroscope. You even look down and place the golf ball with your finger. 7:02AM Okay, now for "Converging Real and Virtual." 7:02AM This reminds us of some of the Ovi Store stuff Nokia was trying to do. 7:01AM You can also rate games from the Near app. 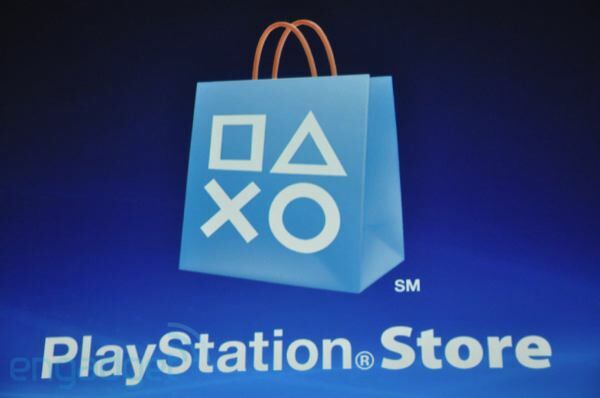 7:01AM Sounds like this might be Sony's solution to game discovery... instead of putting it all in the store, you just see what's popular in your area, learn more about it, and get funneled into the PS Store for a purchase. 7:00AM Showing the "Near" app, which does the tracking. 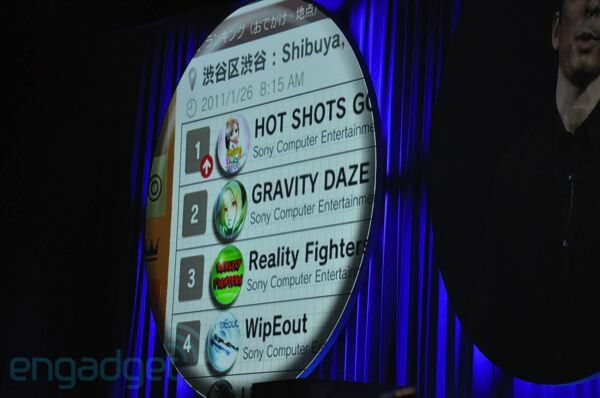 For each area you've been, it shows the most popular game in that area. 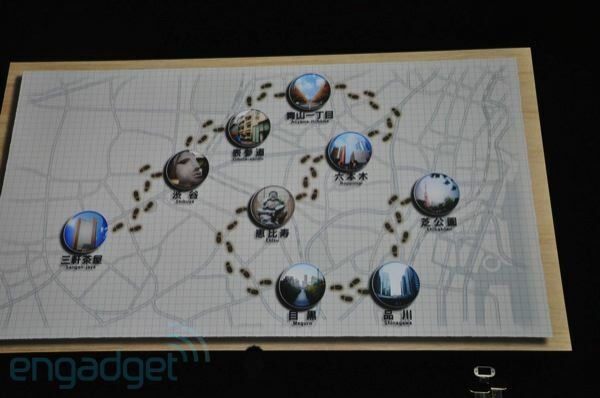 You can also look over a history of who was nearby at each location, based on a map of avatars. 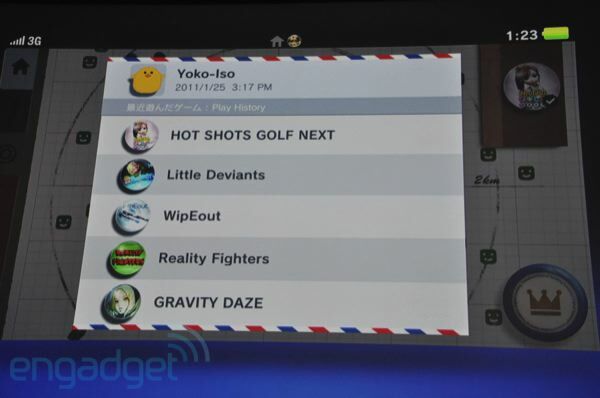 Tap onto an avatar and you can see what other games that user plays. 6:59AM NGP tracks your location over time and creates of map of where you've been. That's not creepy at all! 6:57AM "Wouldn't you like to know the very titles that are being played in your area?" 6:57AM Now for Location-based Entertainment. 6:57AM Now, the 3G connection. Realtime updates. 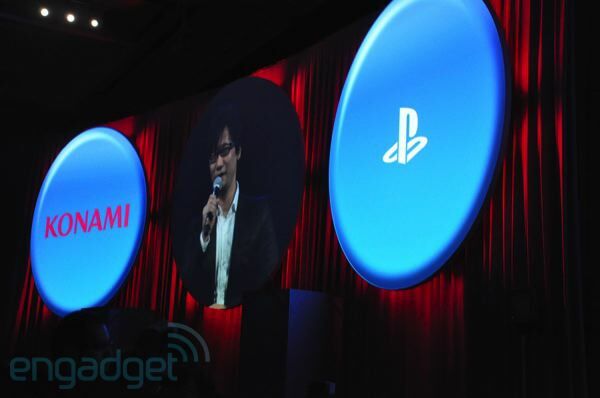 No mention of multiplayer just yet, however. 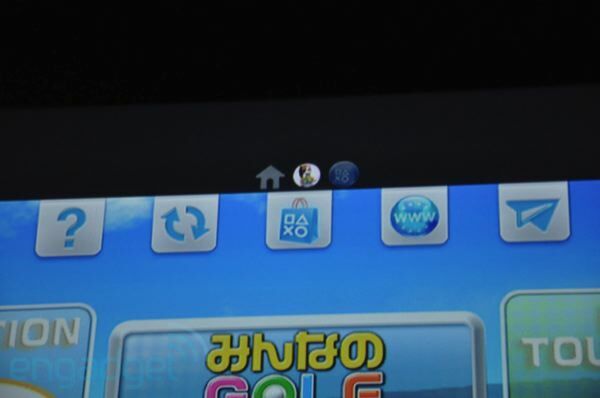 6:56AM As far as wel can tell LiveArea refers to everything UI-wise in NGP, including the home screen, but also each game gets its own LiveArea. 6:55AM You can hop in and out of a game from LiveArea. 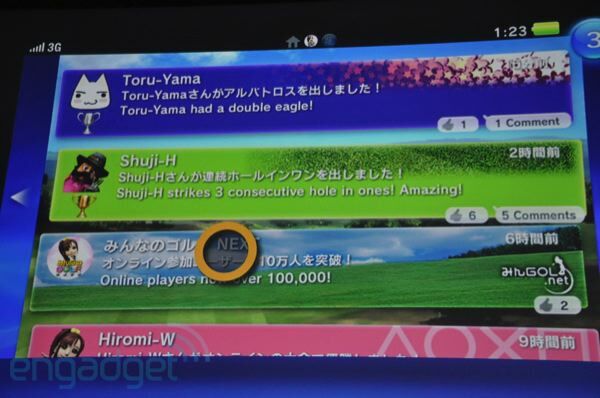 There's also a friend feed, showing achievements and purchases of your friends in the particular game. 6:54AM LiveArea UI is the main UI of the whole device. 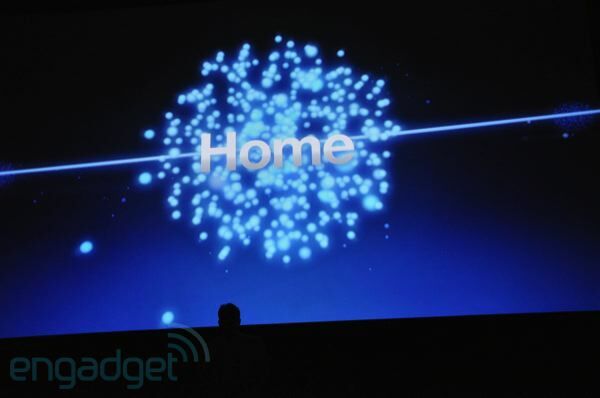 Think of the Android home screens, just turned on their side. 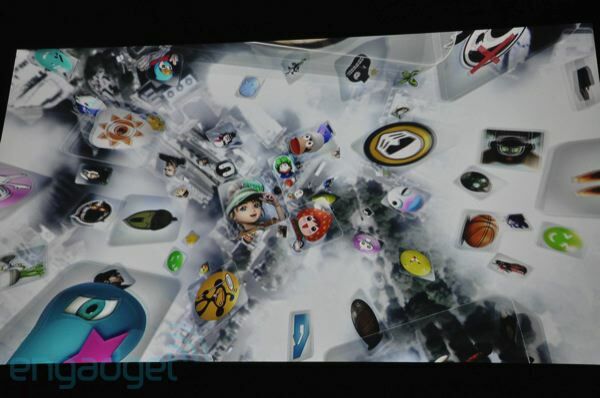 Swipe up or down to see more screenfuls of games or apps. 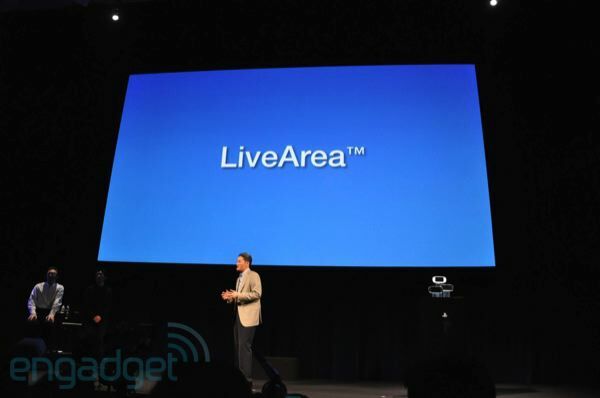 6:52AM Next, "LiveArea," a "Game-oriented communication platform." 6:51AM Now, front and touchpad simultaneously, using the thumb and index finger of one hand, to grab Deviants and fling them. 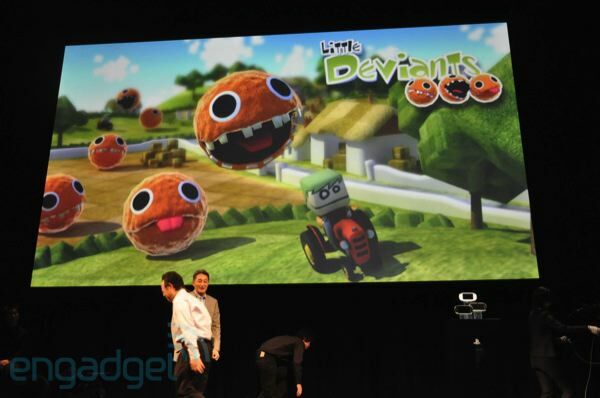 6:51AM Now we're checking out a demo of "Little Deviants." 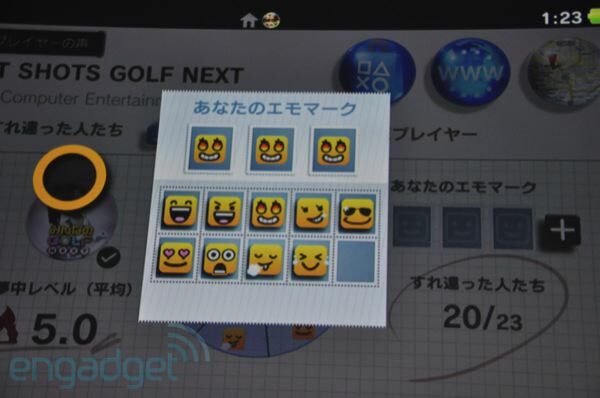 You touch the back touchpad to lift the ground under the Deviants to move them around, or tap the pad to make them jump. Two fingers just lifts more of the ground into bigger hills. 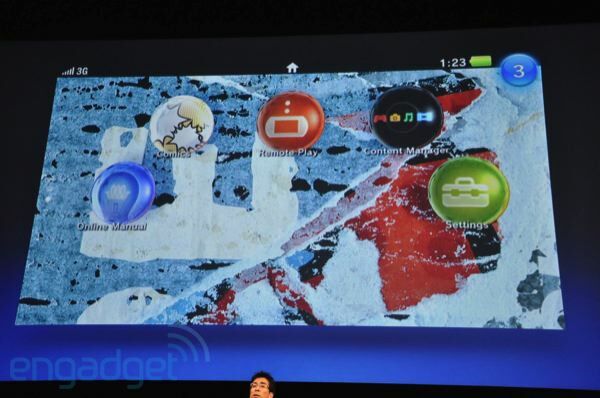 6:48AM Actual UI of the device is being shown. 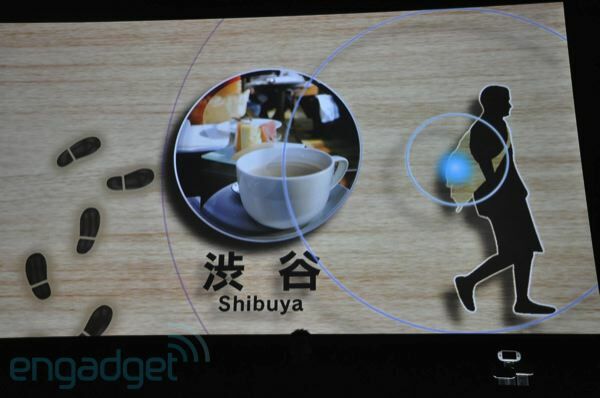 Touch, Grab, Trace, Push, Pull are potential interactions with the front and rear touchpad. 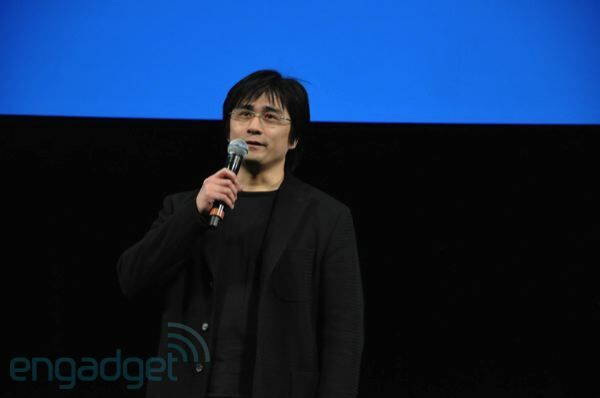 6:48AM Now Kaz is talking the UI in general. 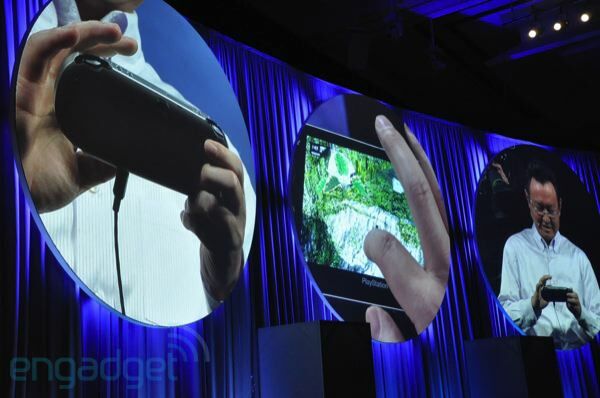 Another rehash: dual analog, front and rear cameras, front and rear touchpad. 6:47AM That's it for the demo. 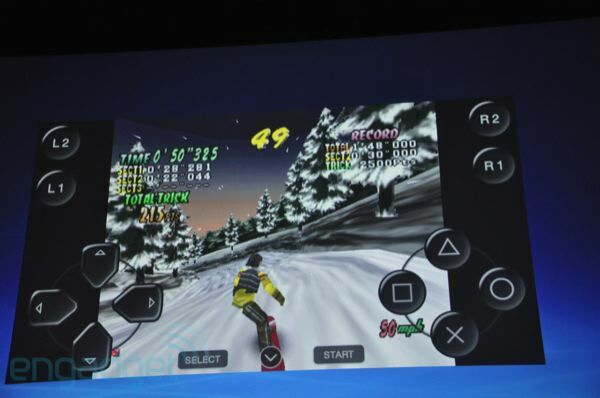 Seems to combine everything a PSP or PS3 controller can do, with very iPhone-like interface elements. 6:46AM Now he's using the touchscreen to select different parts of the cliff to climb up, instead of analog stick + button to progress. Now he drew a line up the cliff and Nathan follows that route. Uses the gyro sensor for aiming. 6:44AM Now he's using the back touchpad with two fingers to simulate a hand-over-hand climb up another vine. 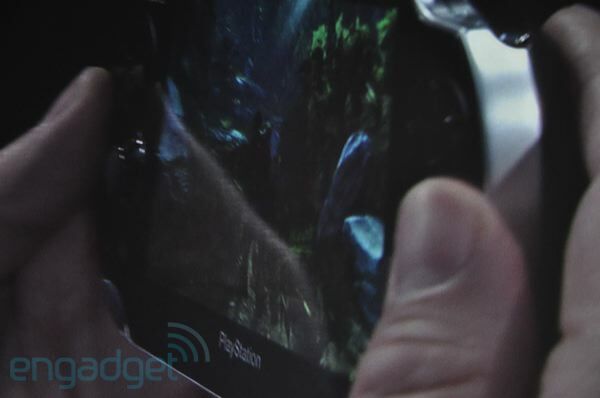 6:44AM The Uncharted gameplay uses the sticks and buttons, but you can also touch the screen to go over an obstacle, or tilt the device to control the swinging on a vine. 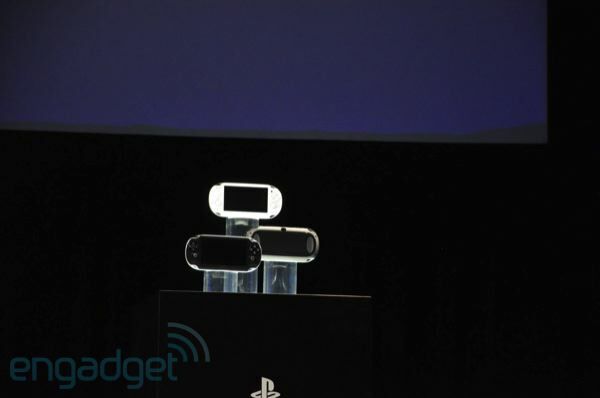 6:43AM The dual analog sticks are a new "micro" design that is apparently more like the DualShock design. 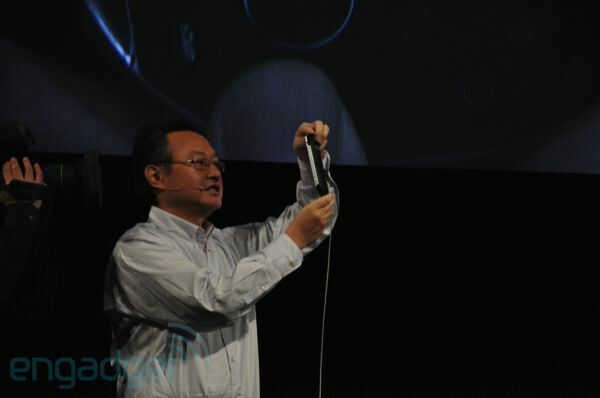 6:42AM They showed off the great viewing angle abilities of the OLED screen. 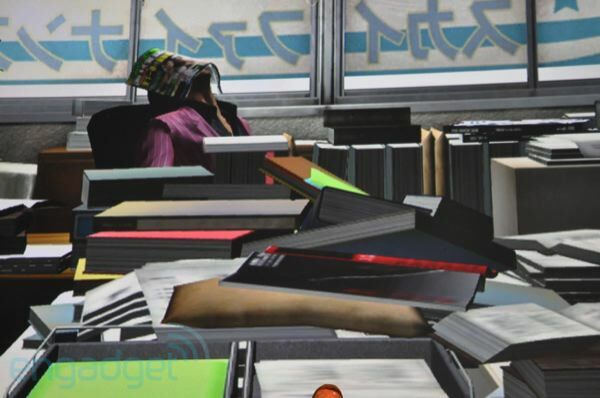 "Great for people like me who like to play games laying down." 6:41AM It looks really nice. Not quite PS3 level, but there are still plenty of polygons and lighting effects. 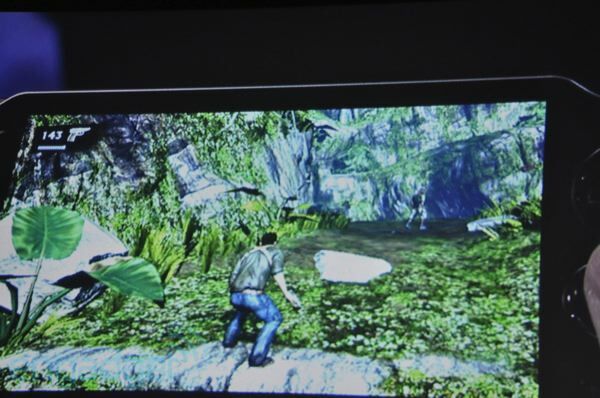 6:41AM Now we're getting a demo of Uncharted, running live on an NGP. 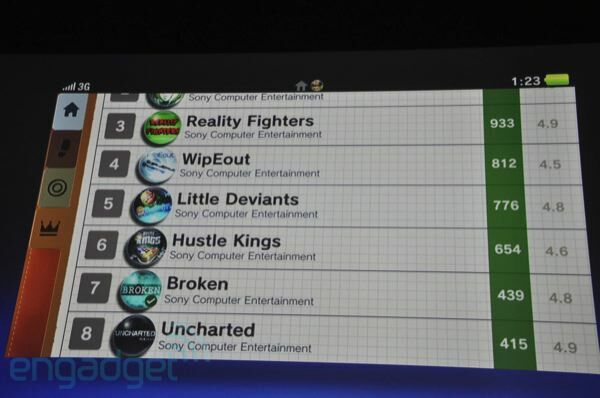 6:40AM Also showed off Little Big Planet, Resistance, and Uncharted. Looks like they're really going all out. 6:40AM Showing off some upcoming games. 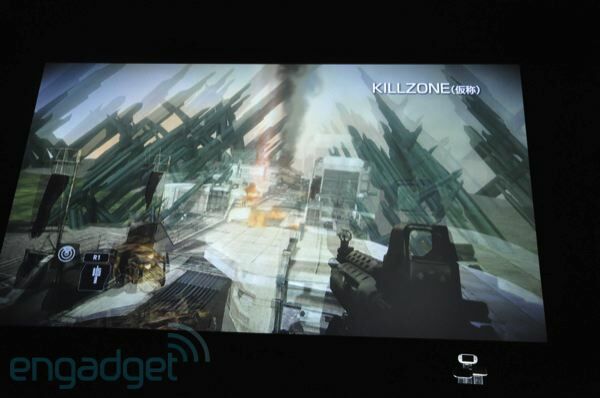 Including Killzone! 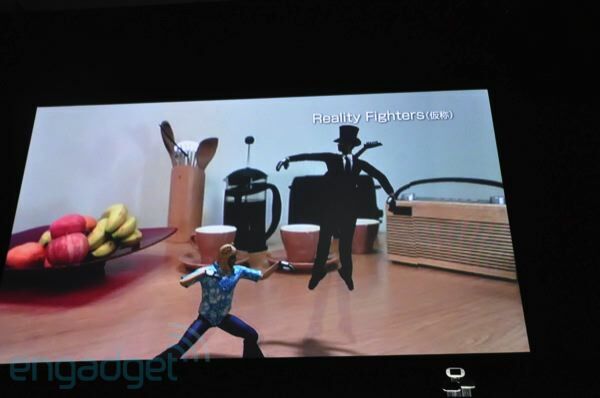 A "Reality Fighters" title looks hilarious, putting fighters in an augmented reality setting. 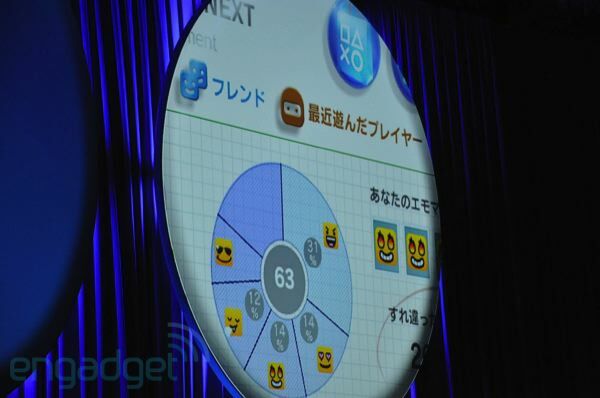 6:38AM Also supports social user interaction adding the fun of social gaming in the portable world. 6:37AM "The ultimate entertainment experience." 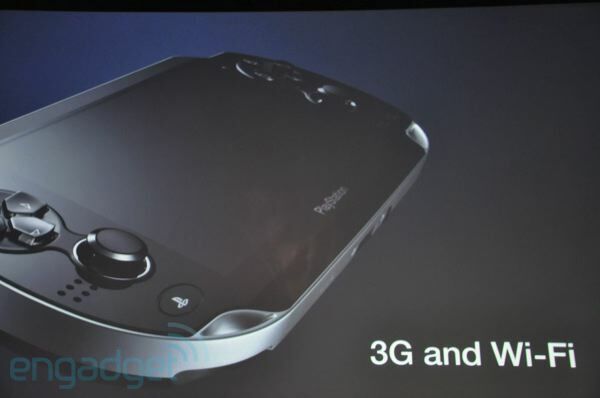 Advantages include the large screen, first dual analog sticks in the history of portable gaming. 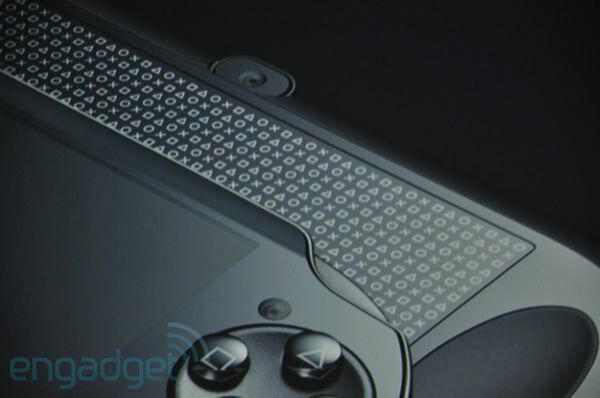 Front and rear touchpads. 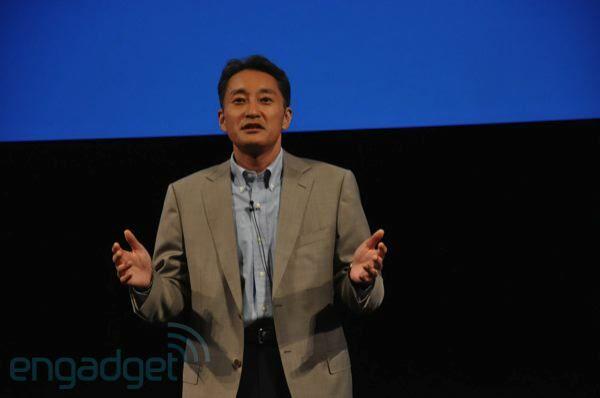 6:37AM Shuhei Yoshida, president of worldwide studios, is out to talk about the potential of new games. 6:36AM Man, this is really great. 6:36AM It will be released this holiday season. 6:36AM Uses flash cards for games -- it looks like an SD card, but there's a curve to it that might suggest it's proprietary. 6:35AM "The most advanced CPU int its class. 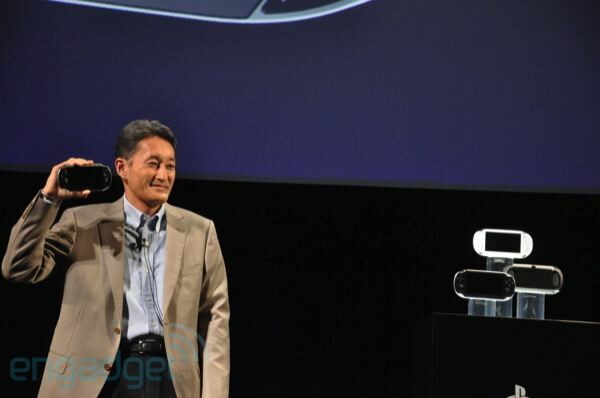 There are also motion sensors, and front and rear cameras. 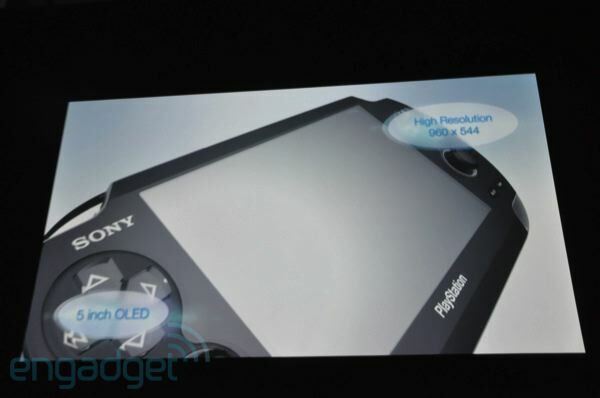 6:35AM That screen is a 5-inch OLED, with 960 x 544 resolution. 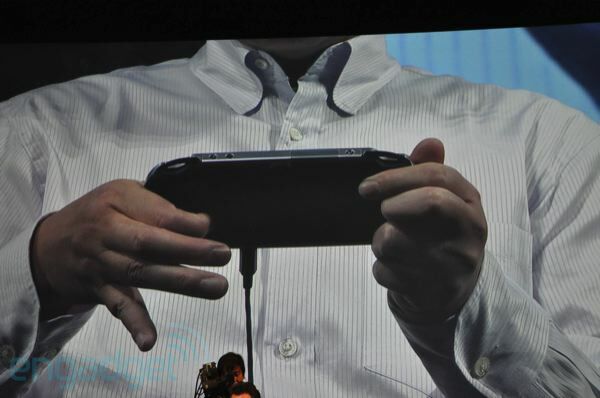 That's 4x a PSP. 6:34AM Hard to tell how slim it is, but it's not exactly paper thin. 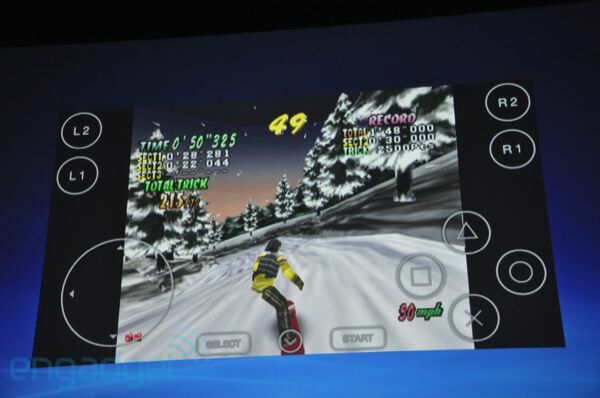 Again, very PSP-like. 6:34AM The touch back is probably the biggest surprise, lots of opportunity for new interaction there. 6:33AM Kaz has one in hand! 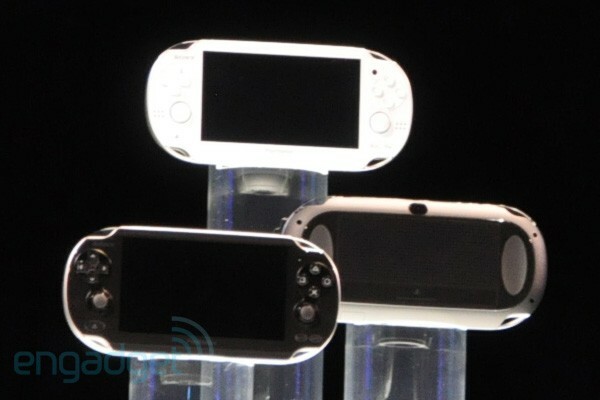 It really does look like a PSP, perhaps a bit taller, due to the screen. 6:33AM Dual analog sticks, front and back touchpads. 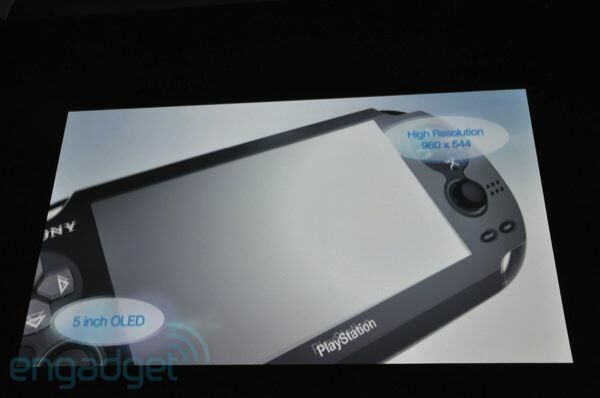 High-res screen. 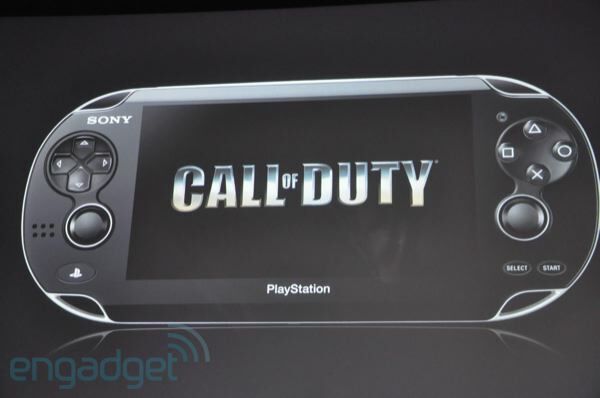 6:32AM It looks like the PSP! 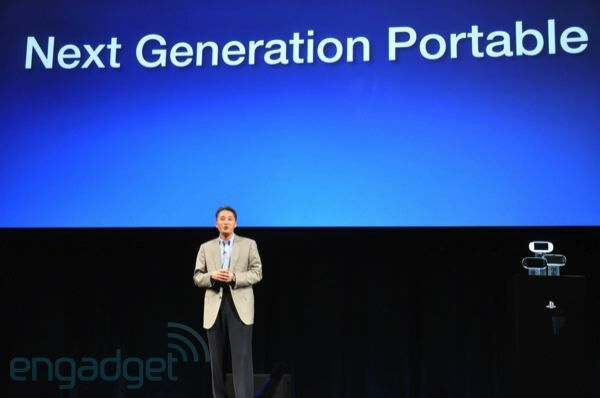 6:32AM Our goal for NGP is to transform every aspect of the user's life into entertainment. 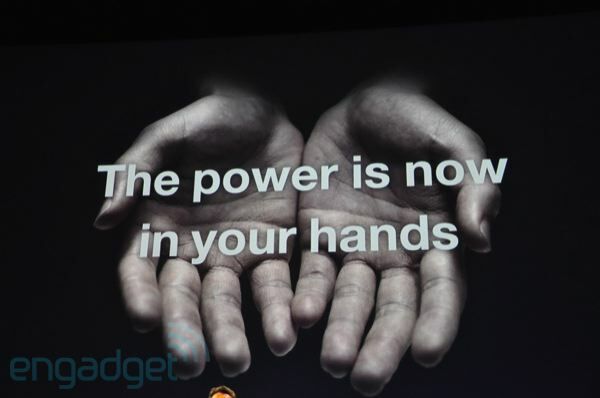 6:31AM "The power is now in your hands." 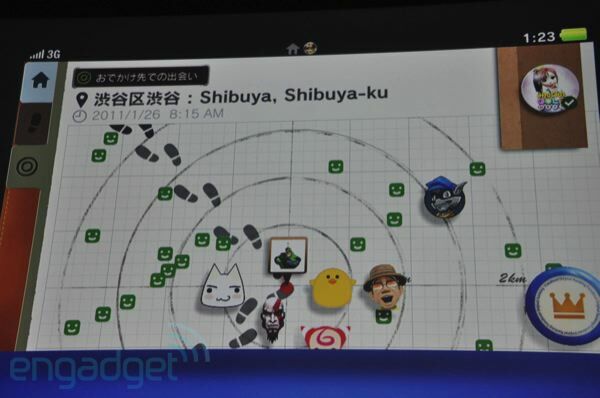 6:31AM No device is being shown, but there are a ton of social features. 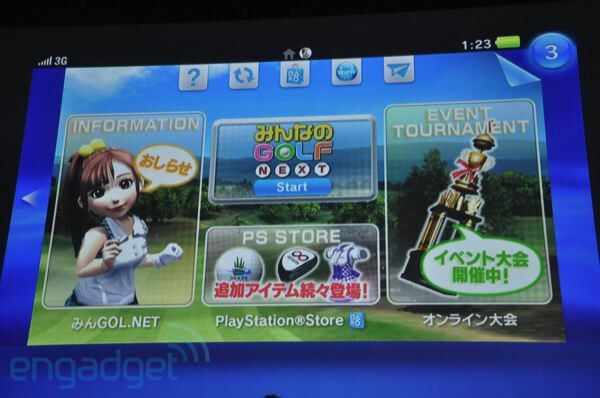 The tag line is "Play Life." 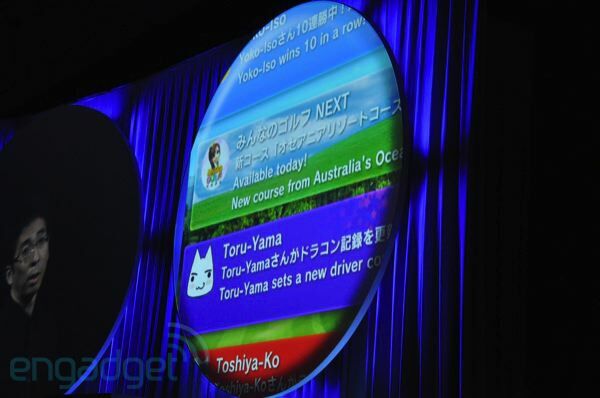 Leaderboards, messaging, avatars. 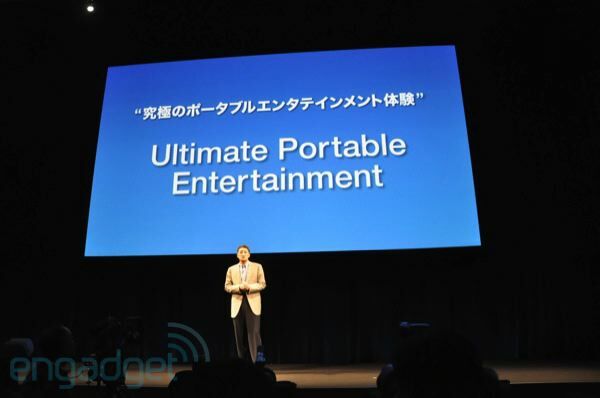 6:29AM "Ultimate Portable Entertainment." Now we're getting a video. 6:29AM Five new concepts. 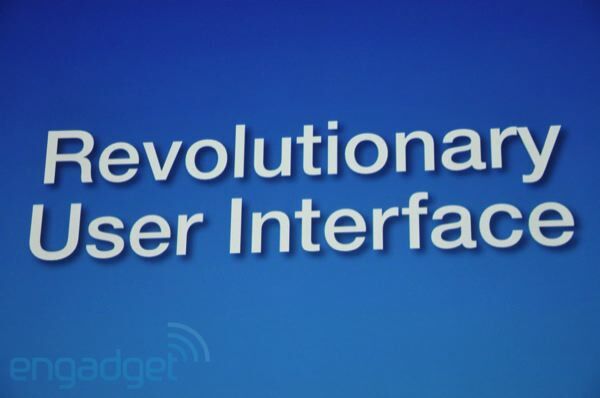 Revolutionary User Interface. Social Connectivity. Location-based Entertainment. 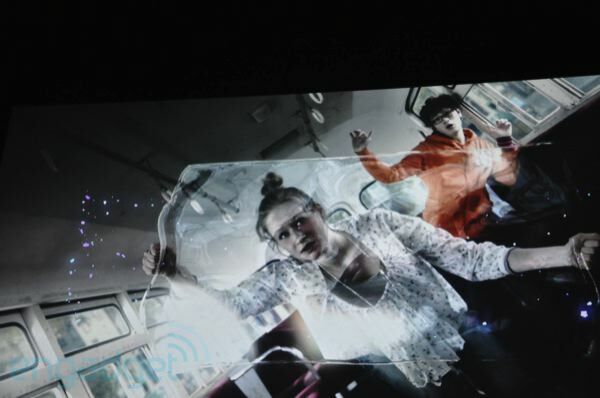 Converging Real and Virtual (augmented reality). 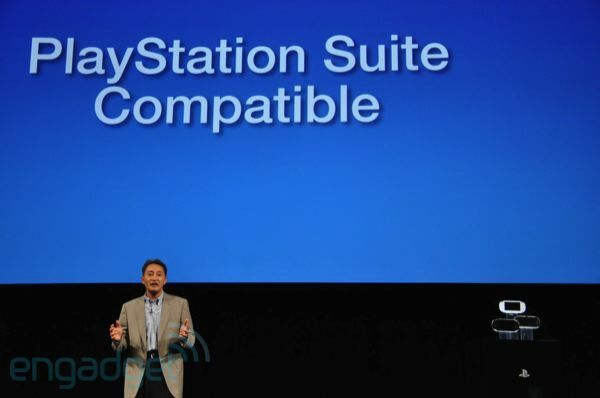 PlayStation Suite Compatibility. 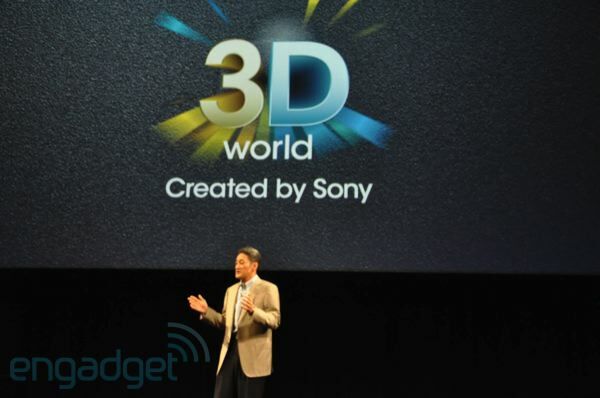 6:28AM Sony is also dedicated to creating in the ultimate of handheld gaming. 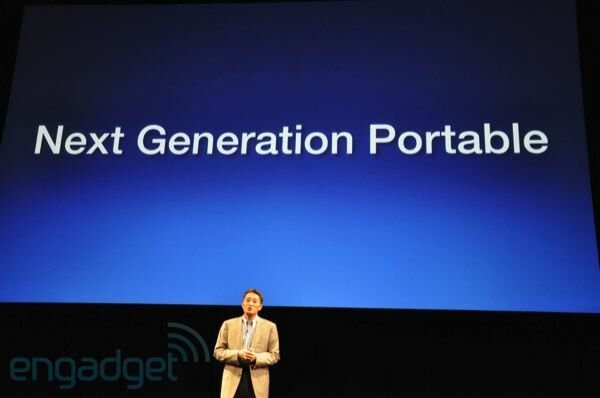 Announcing the "Next Generation Portable," the successor to the PSP. 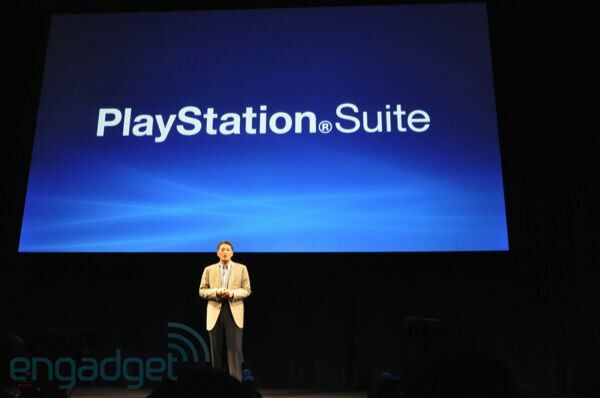 6:28AM PlayStation Suite is due to be available by the end of this calendar year. 6:27AM "The possibilities to create new kinds of entertainment are virtually limitless." 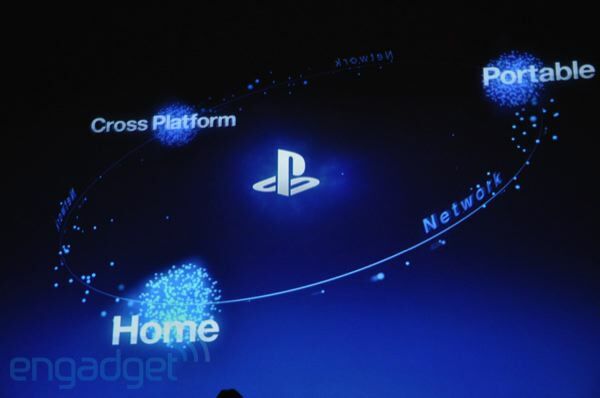 6:27AM "What would happen if numerous devices that exist around the world that support our platform were added to the PlayStation family?" 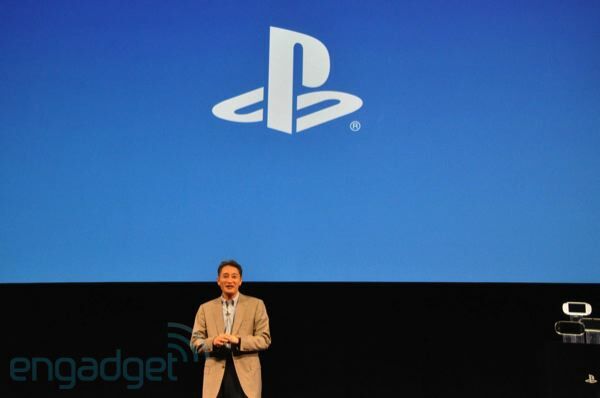 6:26AM "We envision PlayStation Suite as an initiative that is essential to the world of portable entertainment." 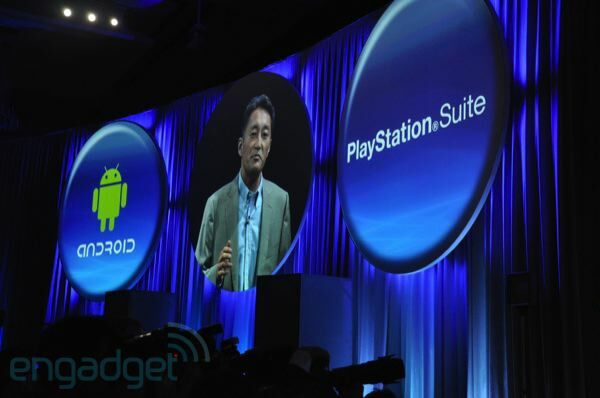 6:25AM Sony will also launch PlayStation Store for Android devices. 6:25AM "Hardware agnostic framework that simplifies the content development process." 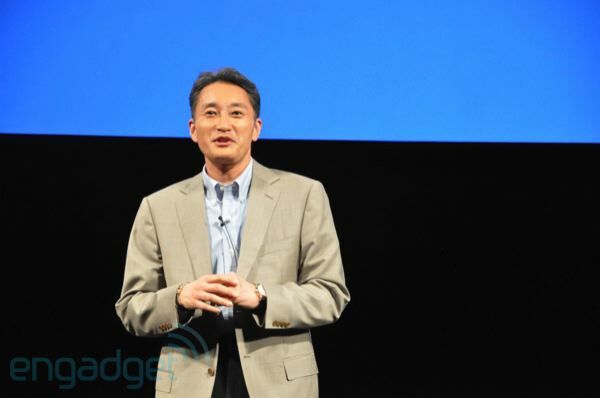 Existing partners will have access, but Sony is also looking to reach out to more developers. 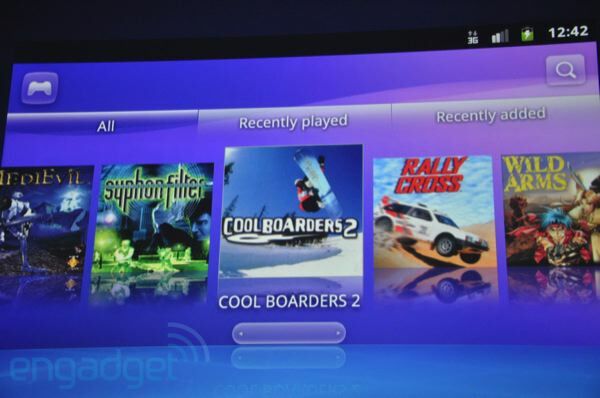 6:24AM PlayStation Suite also has a new development framework for developing mobile-specific titles. 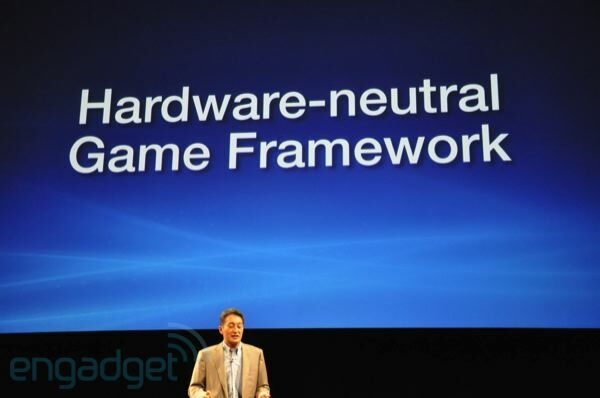 "Hardware-neutral Game Framework." 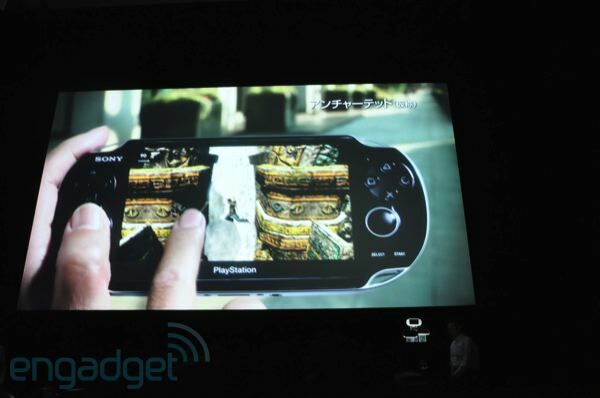 6:24AM He's showing a screenshot with screen overlay controls on top of a PSP game. 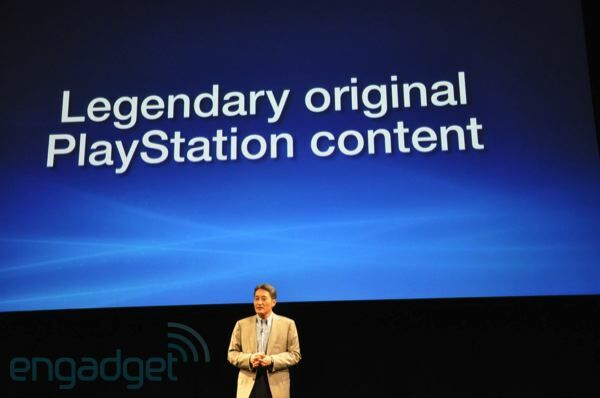 6:23AM "We will first emulate the first generation PSP titles to be available on PS Suite devices." 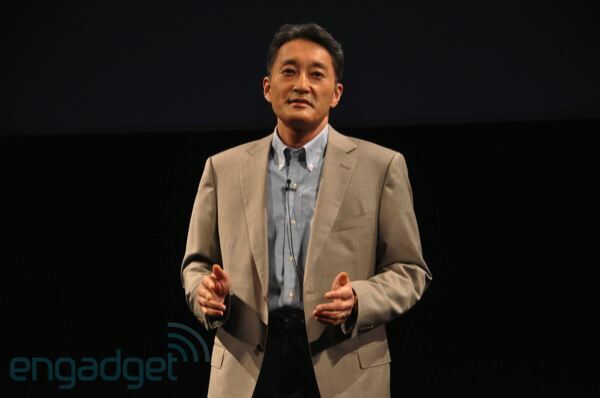 6:23AM "We will perform content quality testing on devices to ensure the quality of playback." 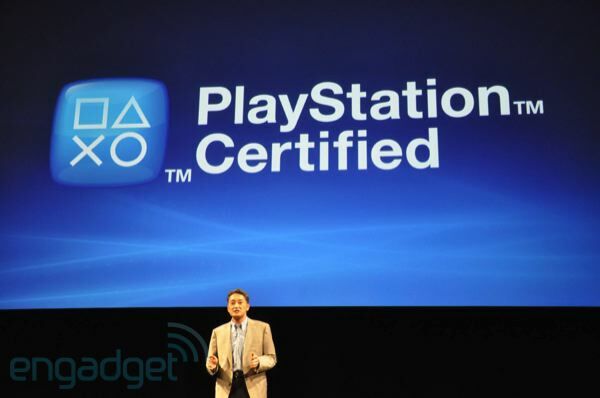 6:22AM "We also launch a new licensing program called 'PlayStation Certified.'" 6:22AM "A new development framework for the development of entirely new content." 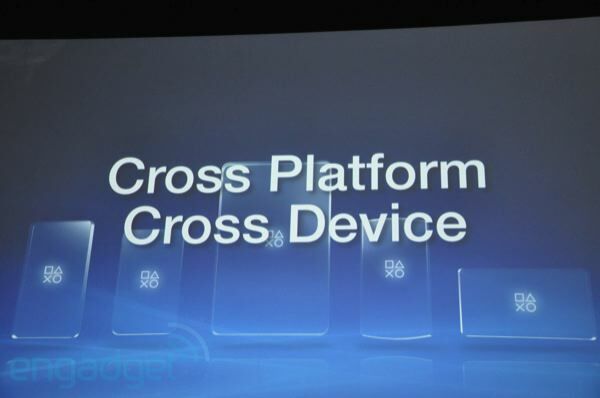 6:22AM Cross Platform, Cross Device. 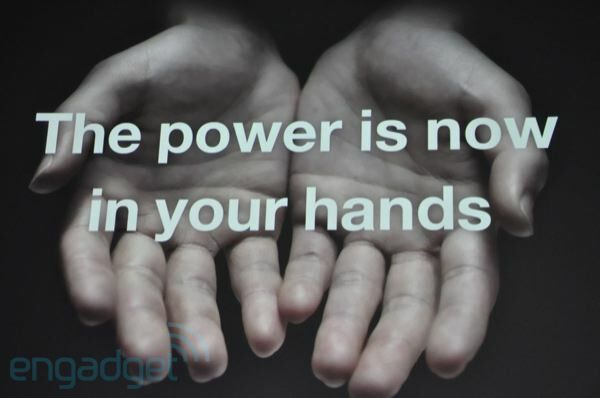 For Android phones and tablets. 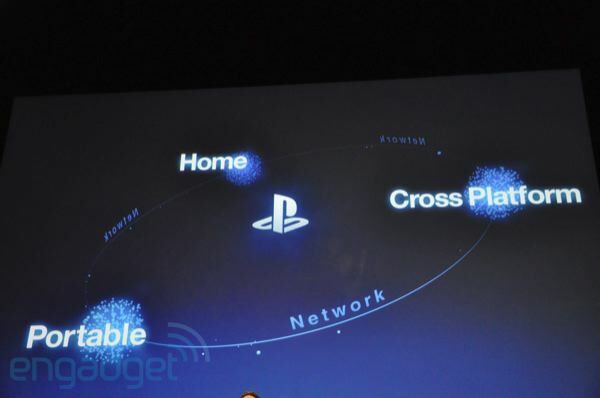 6:21AM "PlayStation Suite extends the PlayStation experience beyond the PSP, by providing PlayStation content to other devices." 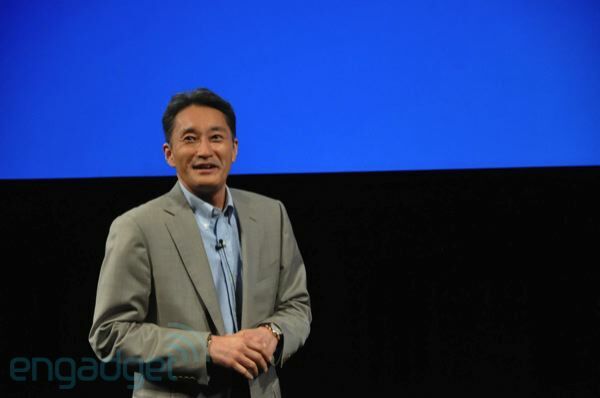 6:21AM "Today we are announcing PlayStation Suite." 6:21AM "We also see it as our mission to help the content creators to reach the users." 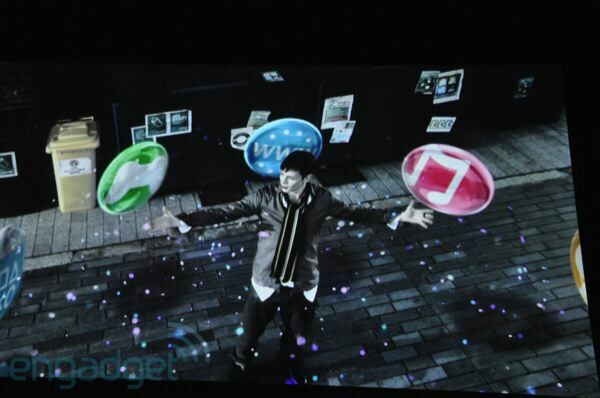 6:20AM "These phone devices are finally technically ready for PSP-like performance." 6:20AM Now the smartphones are competing, and Sony seems interested in playing ball. Oh really? 6:19AM "There was a time that the only way to play a game outside was to carry a portable gaming console like the PSP." 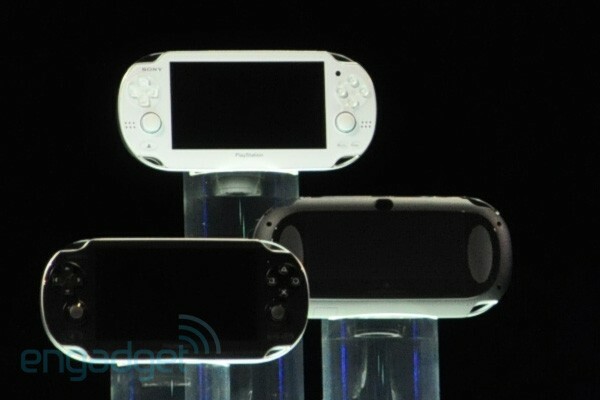 6:19AM "Now, the environment surrounding the world of portable gaming has undergone a radical transformation since the launch of the PSP five or six years ago." 6:18AM Now, outside the home. 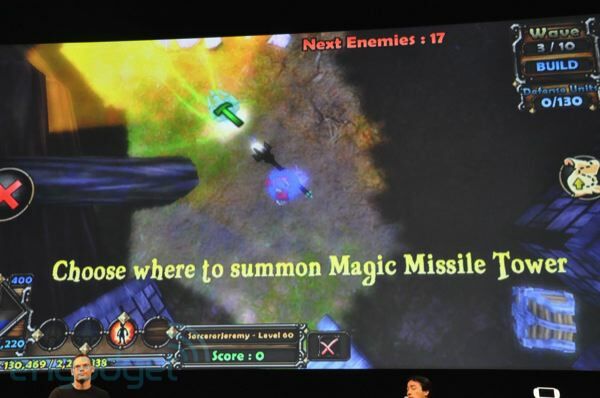 "Games are nearer to you than ever, and are accessible at any time." 6:18AM So, that's "Home." 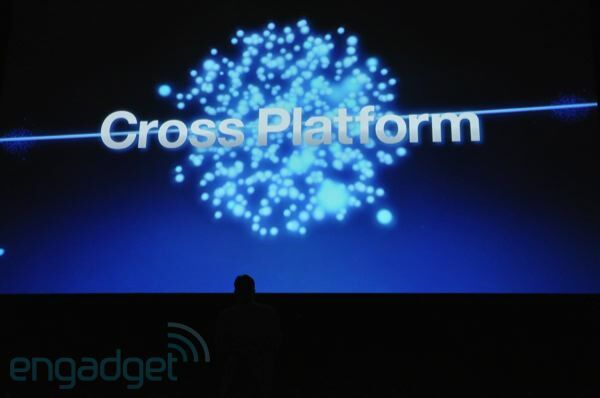 Now it's "Cross Platform." 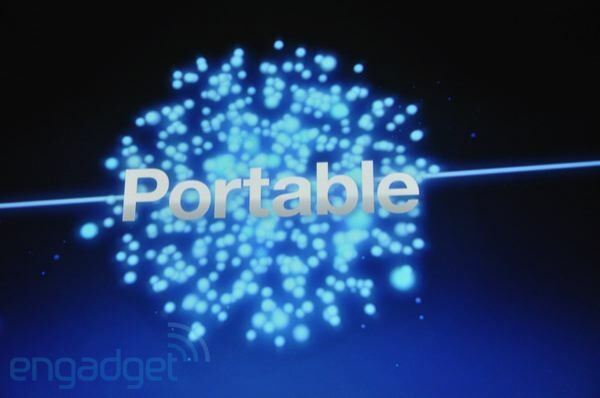 The graphic also shows "Portable" in our slideshow future. 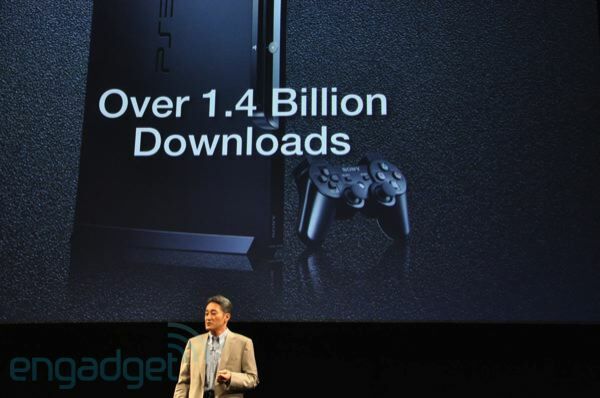 6:17AM PlayStation Network launched in 2006, and today over 80 percent of PS3 consoles are connected to the internet. 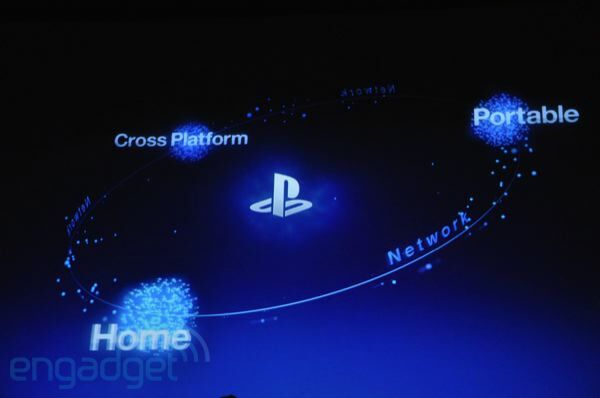 PS Network has 69 million accounts all over the world, with 1.4 billion content downloads. 6:16AM First up? The home. 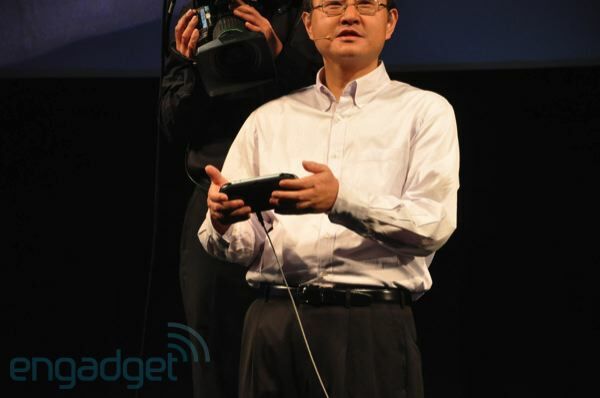 A PS3 is equipped with a Cell processor, Blu-ray, HDMI outputs. 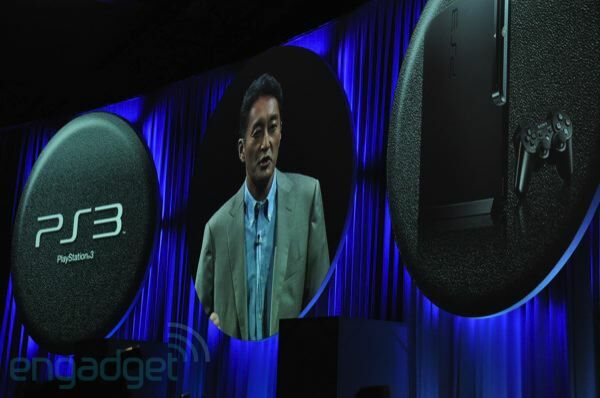 A new slim design, a 3D firmware update. 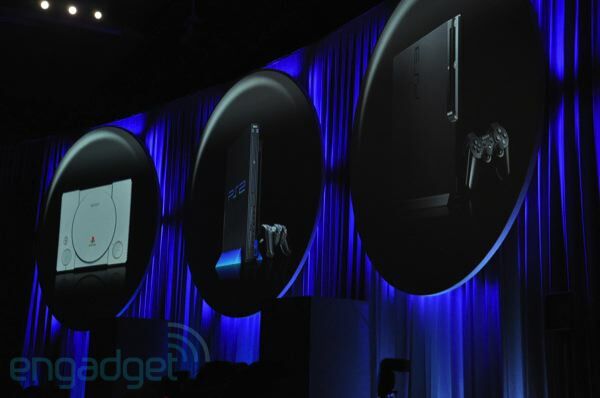 "With these technological innovations, the PS3 became significantly different than its precessors." 6:14AM But today... "I'd like to speak about a whole new world. The future will one day become reality, which is why we must keep on coming up with new visions of the future, and making them come true." 6:14AM He sees the PlayStation 3 as the primary application of that 2005 vision, though he admits it hasn't all arrived yet. 6:13AM "A lot of what we envisioned back then has materialized in the daily lives of our users." 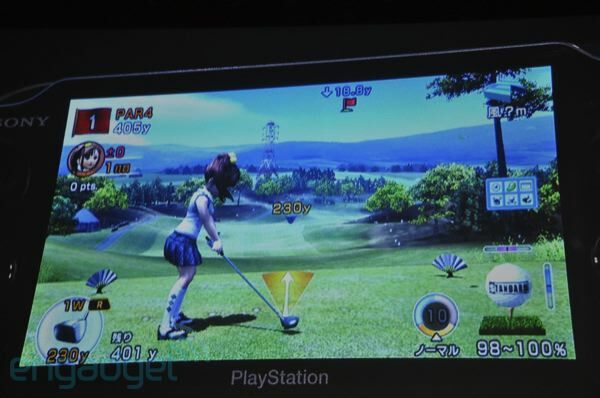 6:12AM A city in 3D, a car in 3D, golf in 3D. Kaz is back. "When reality is digitized into data, it becomes your own version of reality, over which you have complete control." 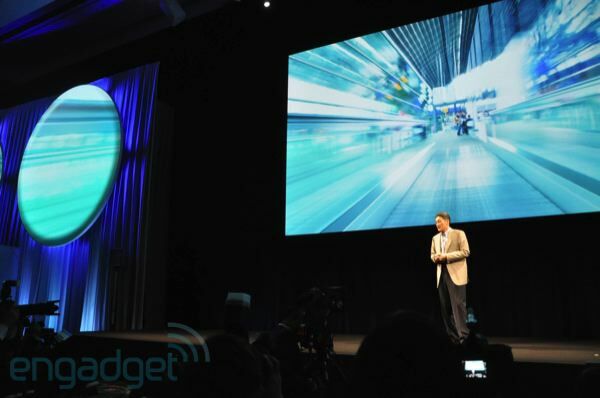 6:12AM "We wanted to start by showing a vision of the future that we had back in 2005." The video is kicking off. It's pretty thrilling. 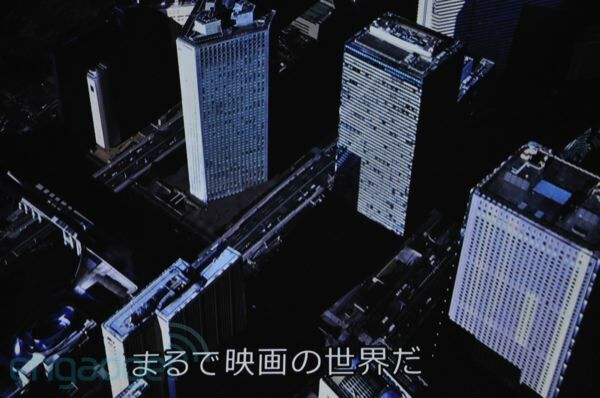 About linking live camera information with 3D data. "When images are linked to digital information, reality can be controlled." 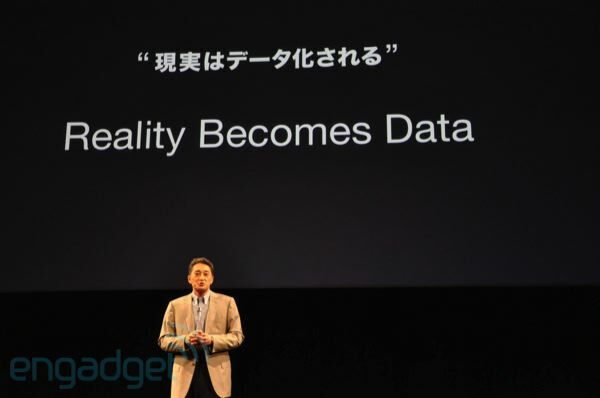 "Reality becomes data." 6:10AM "Let me start with showing you some video footage, it's the same clip we showed at E3 five and a half years ago." 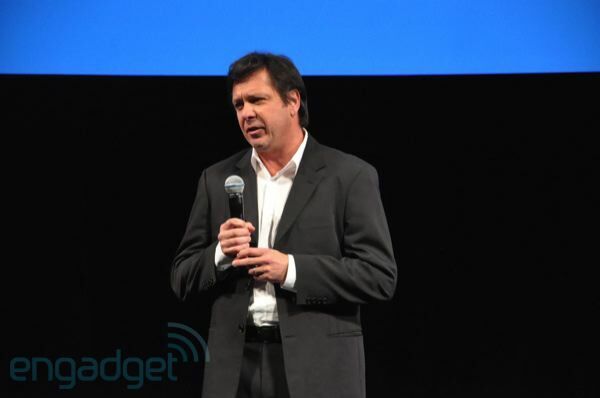 6:10AM "At CES I asked you to look forward to new products and services... and today I'm excited to share with you the first of those announcements from SCE." 6:09AM "It's been a while since we've had a PlayStation Meeting." 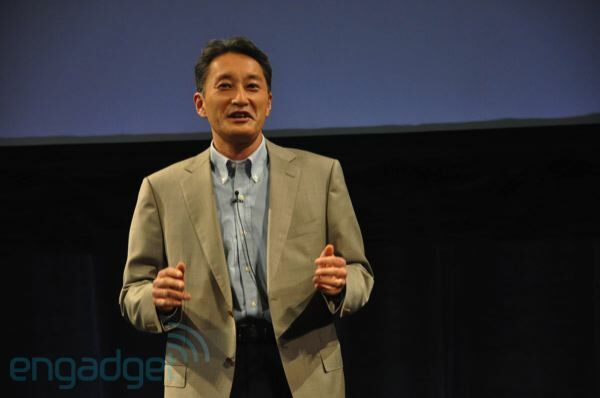 6:09AM Kaz Hirai is out! 6:08AM Jams are starting to get loud! This could be a good sign. 6:08AM Starting to get the munchies... maybe they'll announce an edible PSP? Or they could just start! 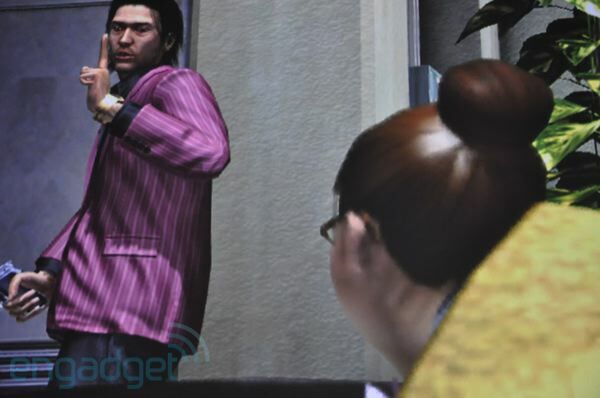 "The meeting will start momentarily." They've been saying that all hour, and we're starting to lose hope. Even though it's only seven minutes past. Damn our American impatience. 6:05AM The presser will be conducted in Japanese, and we're wired in with an earpiece for live English translation. 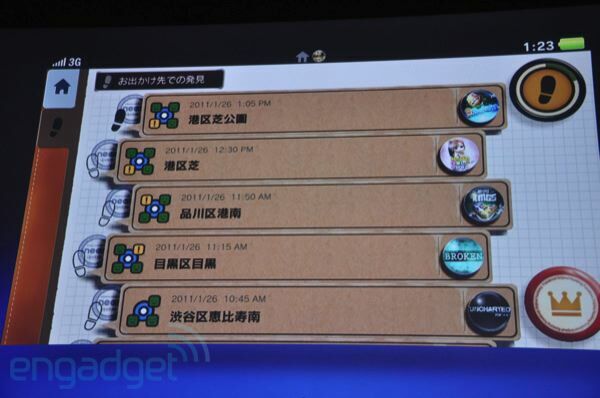 If the service breaks down on us we'll probably just spam these updates with "PSP2 PSP2 PSP2 PSP2" etc. 3:01PM We just switched our timestamps over to Tokyo local time for the sake of not confusing / confusing you. 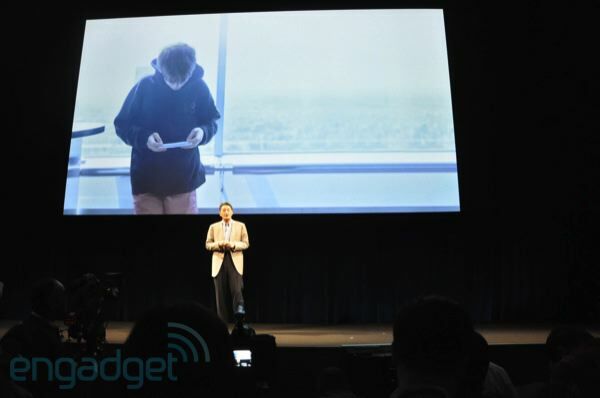 0:55AM Remind us to call the Sony execs while they're on stage: we're sure all of them are rocking the Xperia Play in pocket. What, do you think they'd settle for any of SE's other recent phones? 0:50AM About 15 minutes to go before we start. We're getting some bilingual announcements: smoking is not allowed. 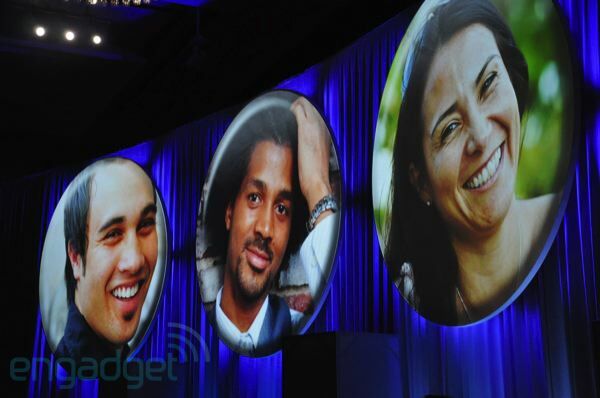 Woah, we've got a white balance lady! Very pro. 0:24AM There's a shot of the ballroom. 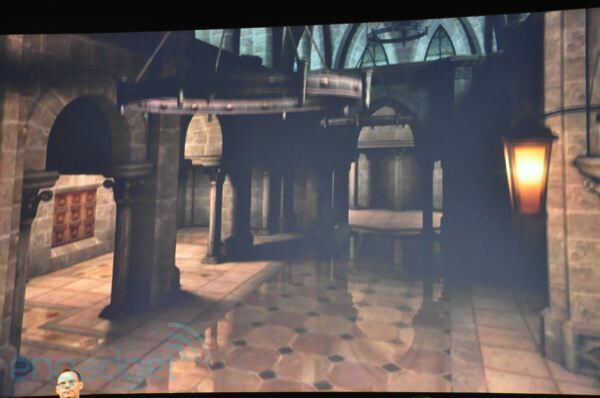 We'd pay $5 if Kaz descends to the stage on one of those chandeliers. 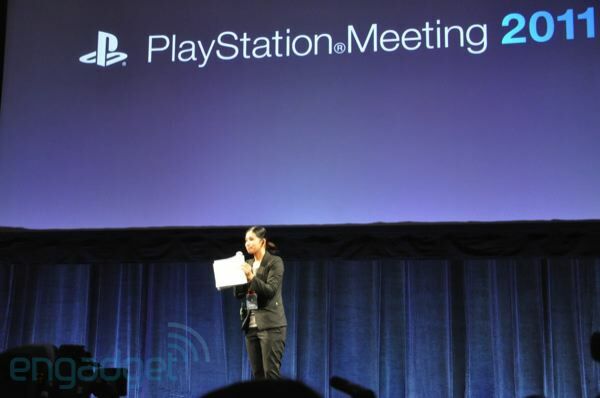 0:17AM The projector screen reads "PlayStation Meeting 2011," which sounds more like an informal parent / teacher chat than a press conference. When walking past a door on our way in we're pretty sure we spied a slide in its place that read "revolutionizing user interface." 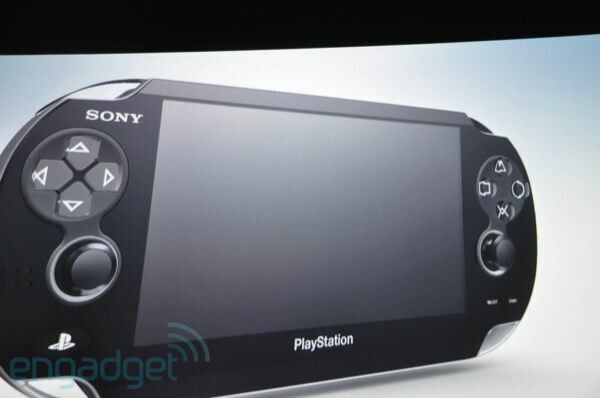 That sounds like a touchscreen PSP 2 to us. Right? Please? 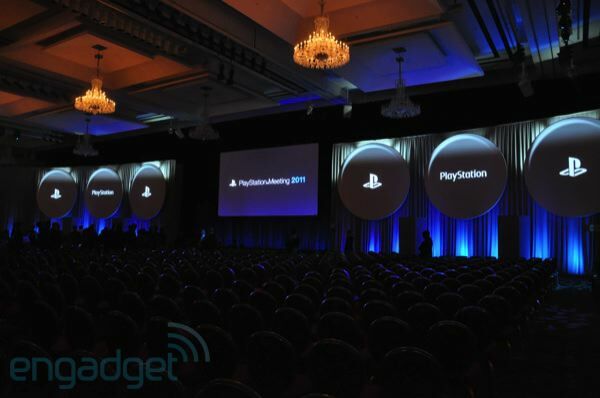 0:12AM We just got a seat in the cavernous hotel ballroom Sony is hosting this event at. Some jazzy dance beats are keeping our thoughts positive, but if we don't get a PSP2 announcement we're not sure if sweet jams can keep us from a spiral of depression.